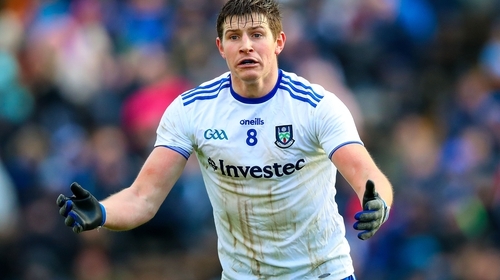 Darren Hughes is set to miss the majority of Monaghan's Ulster SFC campaign after it was confirmed the midfielder broke his ankle during a club game at the weekend. The 32-year-old was injured lining out for Scotstown against Ballybay and is expected to spend 10-12 weeks on the sidelines, which would suggest the earliest he could expect to return would be an Ulster final on 23 June. To get there, Monaghan would first have to get past Cavan, who they face on 19 May, and the winners of Down v Armagh. Hughes' midfield partner last summer, All-Star nominee Niall Kearns, has not played since undergoing surgery to repair a valve in his heart last October but could make his return during the summer. Darren's brother Kieran is expected to be back for the Championship after missing the entire league campaign with a hamstring problem. Meanwhile, Donegal star Paddy McBrearty played his first game since last summer at the weekend, scoring 0-04 for Glencar in the county league clash against Glenswilly. The forward missed the Super 8s last summer and this year's Allianz Football League after tearing his curciate ligament in the Ulster final win over Fermanagh.